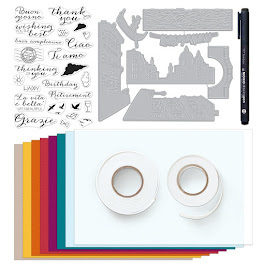 It's time for a little Penny Black and More inspiration! Did you play along yet in our November Challenge? There is still a little time left. As always we have some very generous sponsors again this month, and you can enter up to 3 times for more chances to win. 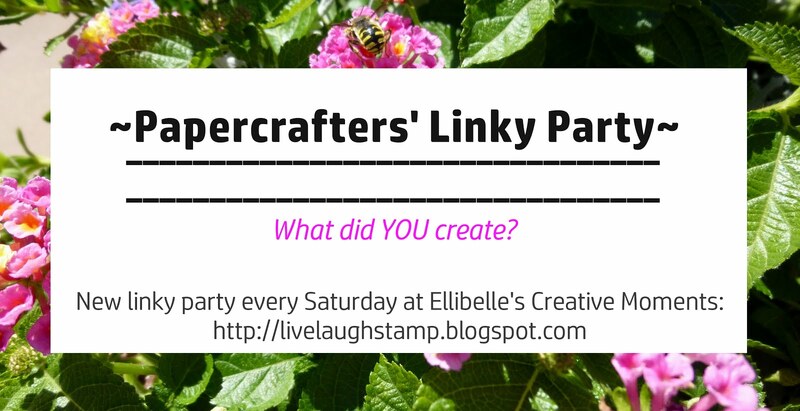 Our theme this month is super easy too - Anything Goes - so no reason not to link up. 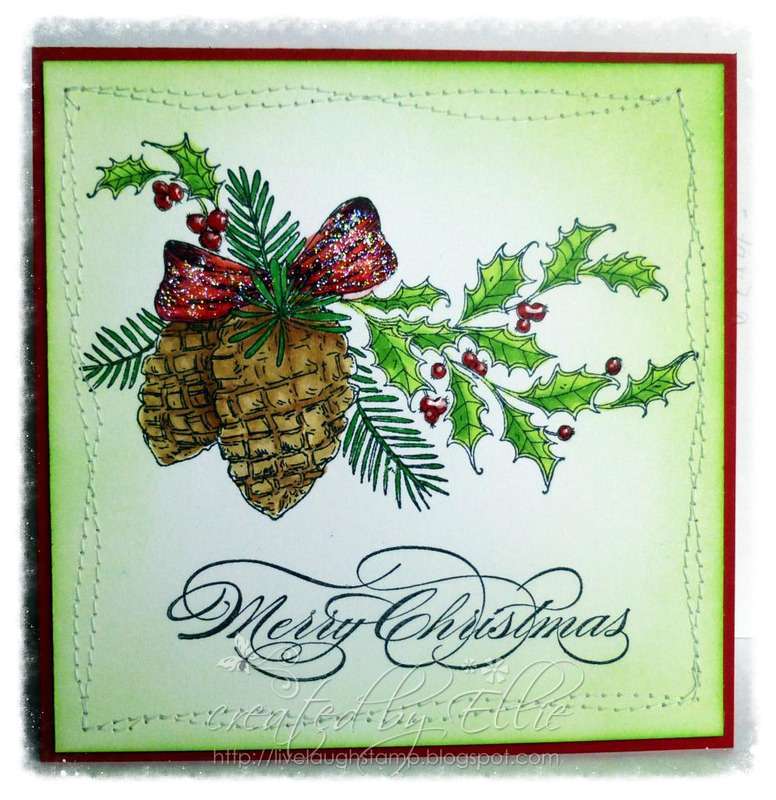 For today's card I used one of my new Penny Black stamps - Winter Pine. This stamp is available HERE in my Etsy Shop. It's been stamped onto 110lb recollections card stock and colored with copic markers. After coloring I simply inked up the edges using a matching green ink and stamped the sentiment. 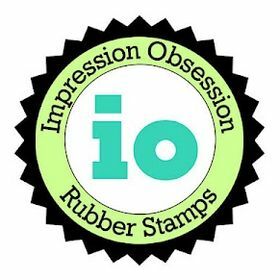 Sentiment is part of this slapstick stamp set. To finish it off I sewed around the edges and added some glitter and glassy glaze. 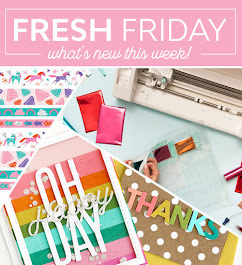 A Little Bit Crafty - CAS or Clean and simple! So beautiful Ellie, the shading around the edges highlights the stitching which you always do so well. 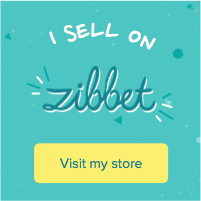 Lovely to see your Etsy store up and running, all the very best with it. 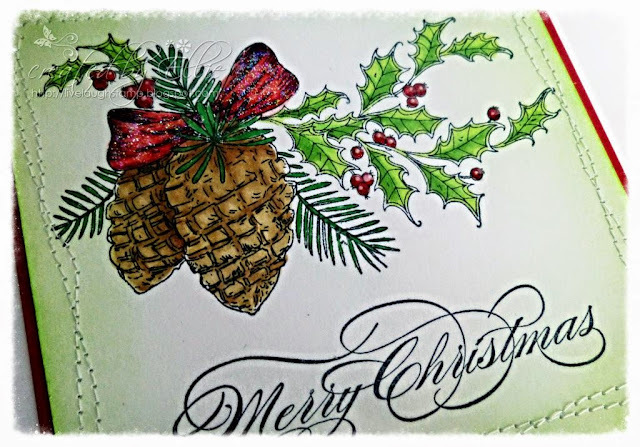 The detail on the cone pine image is beautiful Ellie and your colouring and sparkle has given it that perfect festive look. Must not forget the pretty stitching too which finishes off the card perfectly. Beautiful card Ellie, I love it!!! Gorgeous Ellie! I love the sparkle on the bow. Your card is just beautiful. I love the stitching and the glassy glaze. A very beautiful card Ellie! I love the image and way you colored it and the lovely green shading around it. Beautiful! Love the stitching and the sparkle and the image is wonderful! Thanks for your visit to my blog - I love yours!!! such a beautiful card ellie! congrats on your new store and i wish you much success, which i'm sure will be easy with those PB stamps. Oh this is beautiful Ellie, really gorgeous. I'm having fun looking through all your beautiful cards Ellie, there fabulous!! Great Christmas card. Beautiful colors and form. These are cool stitching.